What a year this has been for forest fires in Southern California. First the Valley Fire caused the closure of the San Gorgonio Wilderness, along with San Bernardino and San Gorgonio Peaks. Then the Cranston Fire shut down Mt San Jacinto State Park and it's namesake peak. While we are still hopeful that some of the trails to these three great SoCal mountains will reopen this year, we realize that might not happen. So we've put our heads together and come up with changes that will let you complete the challenge or extend the challenge, even with the current forest closures. August 4 UPDATE: Mt San Jacinto has reopened. August 6 UPDATE: Santiago Peak has been closed due to the Holy Fire. August 15 UPDATE: San Gorgonio Peak has reopened via Vivian Creek or South Fork. The original six peaks remain: Mount Wilson, Cucamonga Peak, Mount San Antonio (aka Mt Baldy), San Bernardino Peak, Mount San Jacinto and San Gorgonio. Earlier this year we added two alternate peaks: Ontario Peak and Mount Baden-Powell. Now we have added four more peaks, bringing the total to twelve peaks. It is still the Six-Pack of Peaks Challenge, and to officially complete the challenge, you only need hike six of the peaks. Now you can choose any six peaks from a list of twelve. If you were able to complete the original six peaks before the forest closures, check your profile and you'll see you now have a slightly different badge: an “Original Six” Finisher badge. If you complete any other combination of six peaks, you'll get the regular Finisher badge. And for those that manage to complete all twelve peaks, we've got a special badge for you, too. Sitton Peak, at an elevation of 3,273 feet is the lowest peak of the dozen, and is close for Orange, Riverside and San Diego County residents. It's roughly 10 miles with over 2,100 feet of vertical gain, making it a kinder peak to start your challenge with. 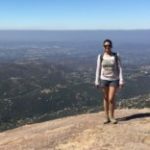 Mount Pinos is the highest point in Ventura County at 8,847 feet, and boasts 4,800 feet of prominence. Mount Pinos is well known by astronomy buffs because of the lack of light pollution, the elevation and the views, which can extend from the Channel Islands to the Sierra Nevada mountains. It was also considered by the native Chumash people to be the center of the universe. Because the direct route is short and easy, you'll probably want to extend your hike to include a visit to nearby Sawmill Mountain. Strawberry Peak is the highest peak in the front range of the San Gabriel Mountains, and includes a steep ridgeline scramble to the summit. The 6,164′ summit rewards your scrambling skills with some sweet summit views. Santiago Peak, aka Saddleback Mountain is the high point of Orange County. At 5,689 feet above sea level, it can even holds snow in the winter. Hiking the out-and-trail from Holy Jim Canyon takes you 8 miles up and 8 miles down, with 4,000 feet of vertical gain. The road to the trailhead is part of the adventure. Any combination of six peaks will earn you a spot on the Finisher's List. The new options let you truly personalize the challenge and make it your own. And hopefully it will inspire you to explore some new trails. These dates have not changed, but keep them in mind. Last date to finish the challenge and qualify for a free invitation to the Finishers Party is September 30, 2018. Our SoCal Finisher's Party is on Sunday, October 14, 2018. Details will be emailed as the date gets closer, or you can check the challengers-only forum. December 31, 2018 is the final date to hike and log your hikes for the 2018 SoCal challenge and make the Finisher's List. Future SoCal challenges will keep the original six peaks, but the six alternate peaks may change from year to year, so you can truly make the challenge your own! I completed my six pack on Saturday, August 4th , 2018. I did all of the original peaks, except for San Gorgonio. I did Mount Pinos, in lieu of San Gorgonio because of the fire closure. I posted my last peak, Saturday. I do not see my name with the finishers. Please explain. Hi Debra! You ARE a finisher, but we’re still catching up with some of the backend work so that it shows up on the Finishers List and the badge is properly shown on your profile. Keep your fingers crossed that it will all be worked out this week. ? Thanks for your reply! It has been a pleasure, hiking these peaks! Does it matter which alternate we choose? We need an alternate for San Bernardino Mountain hike. Thank you. Laura, no — you can mix and match any six peaks of the 12. Have fun! Hi Jeff, will we be able to take a guest with us to the finishers’ party? Hi Mechi! Yes, you will be able to purchase tickets if you wish to bring a guest. Is it too late for me to register? I just found out that I qualify for finisher. I’ve done 8 of the 12 peaks, Wilson, Baldy, Ontario, Cucamonga, Baden Powell, San Jacinto, San Bernardino & Pinos. Since I didn’t do San Gorgonio I thought I didn’t qualify (because it’s an original peak). 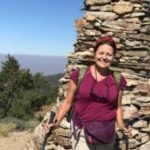 Is there any way to access Santiago Peak, at this point, or are all trails still closed? I’m new to the challenge. How does it work. I go hiking and I say I finished by posting a picture? I look forward to the challenge.